The Greek Islands are known to be kid-friendly due to the welcoming nature of the Greeks and the friendliness shown towards children. The islands also offer many beach and hotel activities that allow children to run freely and be spontaneous. However, a visit to a big city like Athens is a different matter. 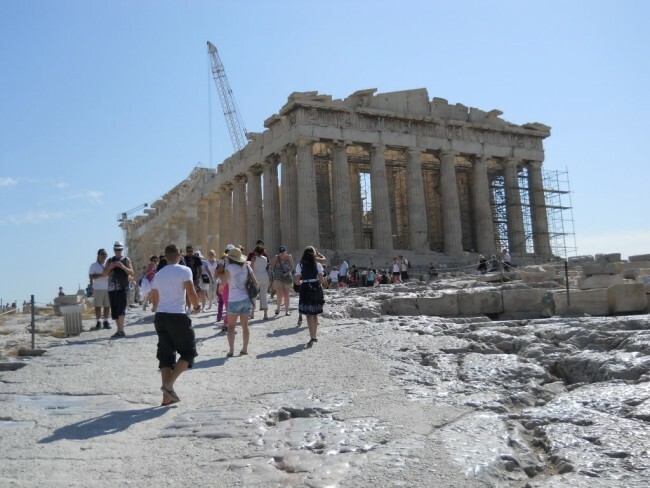 Many parents wonder if a trip to Athens, Greece with kids is manageable when they are young. Compared to the Greek islands, a day in the city is generally more tightly scheduled and crowded, requiring more planning and coordination on your part as the parent. Try not to let the busy nature of the “big city” put you off when traveling with kids. If you plan your trip wisely, your children can grow to love it. Let’s look at how a trip to Athens with young kids can work by following these handy local suggestions. Cracked pavements and non-existent sidewalks in some areas can make getting around the city with a stroller challenging, especially as residents do not always adhere to parking guidelines. There are areas of Athens however, which are pedestrian only. Monastiraki, Plaka and Dionysiou Areopagitou in particular are stroller-friendly. Some streets of the fashionable Kolonaki District are also ideal for walking around but it’s best to take a map with you. Doing so will help you identify the pedestrian-only areas that will work in your favor. If you’re traveling with a baby carrier, it will help make getting around a lot easier. The heat of summer can prove too much for adults let alone children. You’ll find walking around the city during the cooler months to be less stressful as you make fewer stops for sunscreen and toddler breakdowns. Besides the heat, Summer also brings the crowds. It’s the busiest time for attractions to receive tourists, making it more difficult to get around town. You’ll also find longer lines at all the major attractions. Visiting during the off-peak season means less waiting and more experiencing. 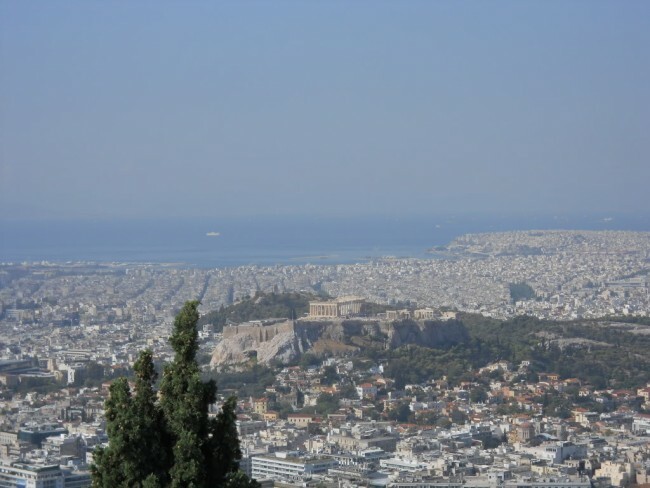 There are several attractions in Athens that require long distance or high altitude walks. It’s best to avoid these places if you’re traveling with a baby. Whilst the Acropolis is certainly stunning, it does involve a strenuous walk. This can prove to be too much for very young children. Lycabettus Hill, the tallest of the seven hills in Athens, is a similar case. We strongly recommend taking the cable car instead of walking up Lycabettus’ hundreds of stairs. The cable car takes only 13 minute to reach the top of the hill. Once there, you and the kids will still have energy to enjoy spectacular views of the city. Where to stay depends on what you want to do and how many days you have to visit. If you only want to explore the archaeological sites, your best bet is to stay in the center of Athens. If you’d like to be close to Athens but still want to experience the sea, and you have several days in your trip, the Cape Sounio Hotel is one of our favorite family-friendly accommodations. 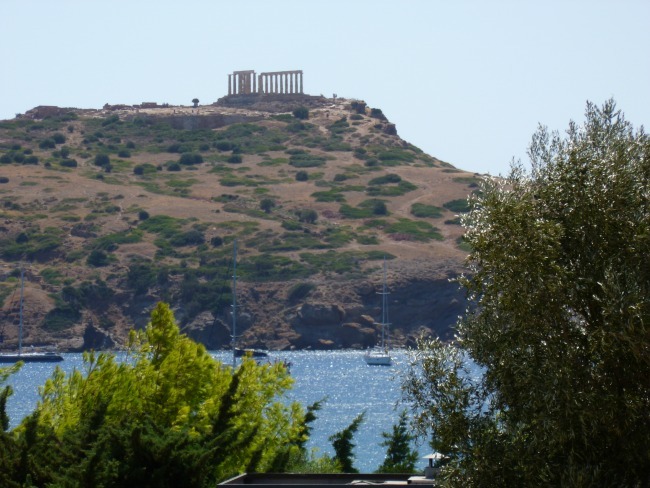 With its majestic views of the Temple of Poseidon, we really can not think of a better place than Sounio. Unfortunately, Athens isn’t privileged to have many green spaces for families to roam. Zappeio is one of the few family friendly oasis that you’ll find. There is a playground and a garden filled with statues that can provide hours of fun for children. Attica Zoo Park is another ideal green space for families and kids. Located just outside of the city, the zoo is home to over 2000 animals, including many species native to Greece. For a laid-back stop, head to Dexameni, where you can enjoy traditional home cooked Greek food whilst the children run around the open space and play areas. It’s common to see Greek families enjoying time with each other at local tavernas. Join the crowd. You’ll feel at home with your kids. Tip: Be aware that whilst smoking in restaurants is prohibited, the rule is rarely adhered to. Don’t sweat it. Just head to an outside table and continue enjoying your meal. 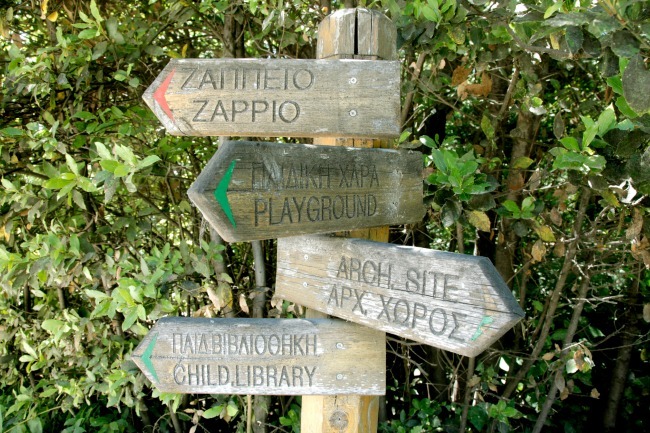 This is a Guest post from our friends at KidsLoveGreece.com, a site that focuses on activities to do in Greece with your kids.